The cohost of the PBS series Everyday Food unlocks the secrets of Jamaican cooking in a gorgeous, gifty full-color package. Where classic Jamaican foods like jerk chicken were once unknown to American consumers, today Caribbean food products and restaurants are increasingly familiar and popular. Now this cookbook shares Jamaica's authentic cooking styles, exciting flavor combinations, and lively spirit of island culture. 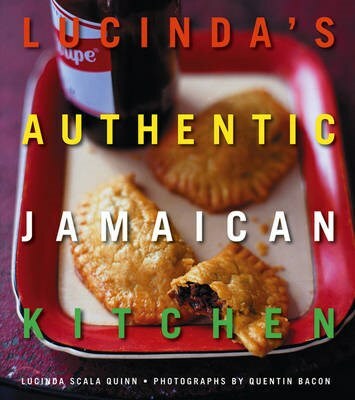 It's filled with soul-satisfying recipes that are easy to make, beautiful food and atmospheric photos, and vivid descriptions of Jamaica's roadside vendors, jerk stops, and other scenes - a must for Caribbean food lovers and culinary adventurers. Lucinda Scala Quinn leads the food department of Martha Stewart Living, Wedding, and Kids magazines, and cohosts the new PBS series Everyday Food. She travels regularly to Jamaica to pursue her passion for Jamaican food.